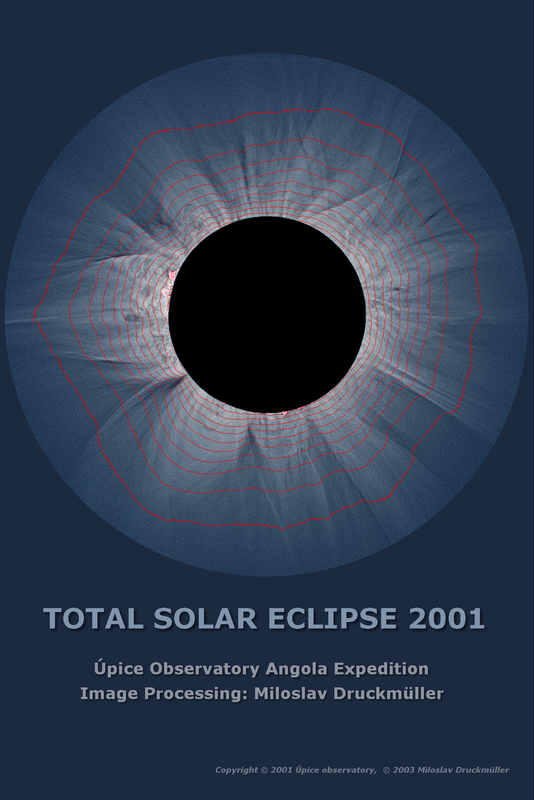 Adaptive filters enable to visualize coronal structures invisible on original unprocessed image but they cause loss of information about absolute image brightness. This information itself is not of big value if the image is only observed on computer screen because the human vision has very poor ability to estimate absolute brightness as it was explained before. This information can be added to the image in the way easily understandable for human vision by constructing of brightness isolines. 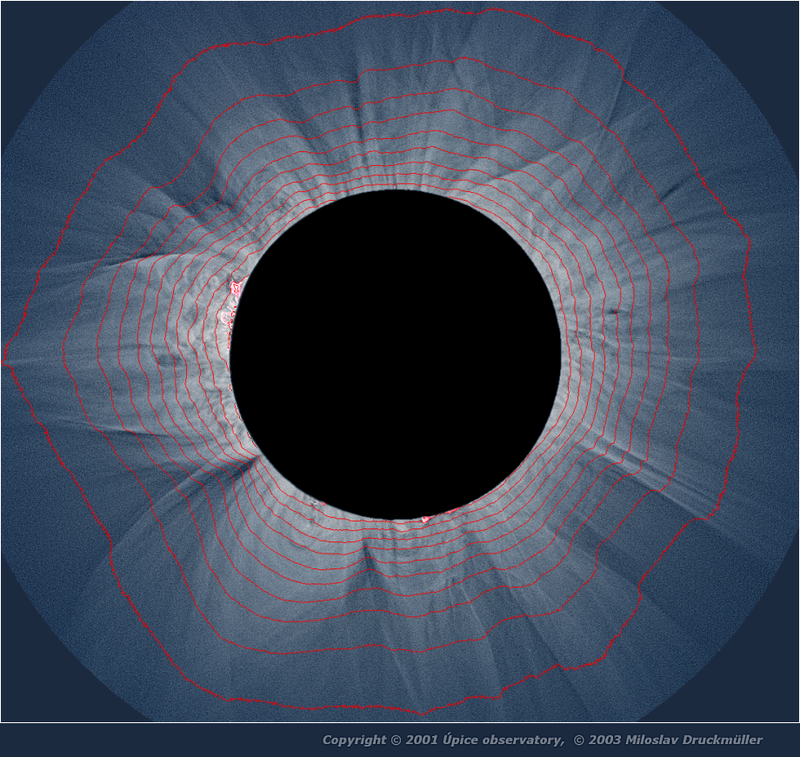 It makes possible to study the corona shape from the point of brightness distribution. Click on the image or on the following reference to display the higher resolution image version (2.2 MB, PNG format). Processing Sum of 8 images enhanced by means of adaptive kernel convolution with isolines.